2. Be certain that you can work harmoniously with Hotdog Champ franchise and it is within your interest. A visit to one of the franchise store will help you be more aware of operation and proceedings. 3. 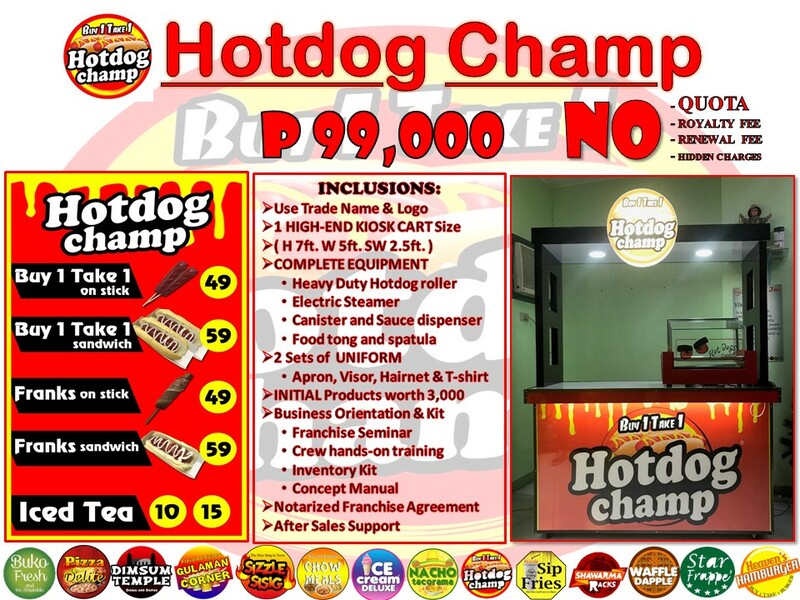 Carefully study the Terms and Condition, Franchise Agreement, and what are included in franchising Hotdog Champ. 4. Check if Hotdog Champ franchise will be compatible with the rules and regulation, as well as existing laws on chosen location. 5. Best location is one key aspect to have a successful Hotdog Champ franchise. Study the environment and see if your business suits the surroundings.